In Star Plus show Yeh Rishta Kya Kehlata Hai Latest Story Is will showcase high voltage melodrama in the upcoming episode which will either make or break Naksh (Rishi Dev) and Keerthi’s (Mohena Singh) Rishta. 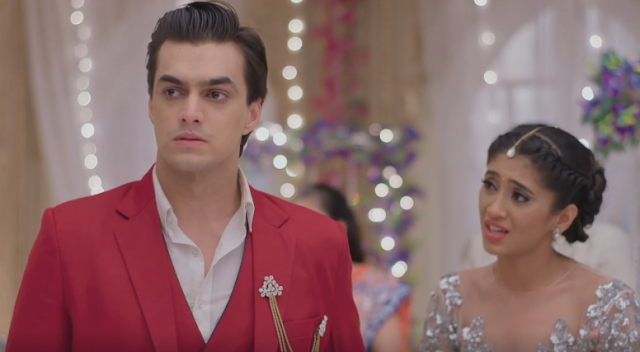 It was earlier seen that Kartik (Mohsin Khan) raise hand on Naksh in the fit of rage but Naira (Shivangi Joshi) manage to stop the fight before Keerthi comes in. unluckily, the secret that Naira’s was hiding from whole family will come out. Both Singhania and Goenka family will start fighting and blaming each other for the guilt. On Other Side , Naksh will be completely broken and worried for Keerthi. Keerthi will be seen in great state of shock and will not be able to believe her eyes. Keerthi will be seen going straight towards Naksh and confront Naksh before everyone.Naksh will reveal the entire truth before everyone and also confess his real love for Keerthi.reprehensibly, Keerthi will support Naksh and accept his love proposal.On a good note, Naksh and Keerthi’s Rishta will not break but will get once more chance to make it stronger.Will Kartik and Naira unite post Keerthi learning the truth and accepting Naksh wholeheartedly?